The Star Gold Coast shone at two highly regarded industry award ceremonies this week – the 2018 Queensland Hotels Association (QHA) Awards for Excellence and the Good Food Guide 2019 Awards. A total of three major category wins were received across the property, including the QHA Award for Best Deluxe Accommodation – The Darling and Best Redeveloped Accommodation Hotel/Resort – The Star Gold Coast. Cutting-edge Japanese restaurant Kiyomi also retained its coveted Chef’s Hat for the fourth consecutive year at the Good Food Guide Awards. The Star Entertainment Group Queensland Managing Director, Geoff Hogg, congratulated the entire team who were involved in delivering a bespoke, luxury hotel experience to The Gold Coast. “The Darling has set the bar for high-end, luxury accommodation on the Gold Coast and our team proudly delivers exceptional guest service to match, and to receive this industry recognition is a wonderful achievement,” Geoff said. “From premium resort facilities to its breathtaking rooftop restaurant, lounge bar and infinity pool Nineteen at The Star, The Darling offers superior innovation, luxury and service, catering to the individual needs of leisure and business travellers. The Star Gold Coast was also awarded the Best Redeveloped Accommodation Hotel/Resort title in recognition of completion of the first phase of its $850 million transformation, which saw the refurbishment of all 596 hotel rooms at The Star Grand, a new-look porte-cochere entrance, luxury new poolside and meetings facilities and eleven new and reimagined food and beverage offerings. Continuing the celebrations, Kiyomi’s internationally recognised Restaurant Executive Chef, Chase Kojima, attended the Good Food Guide Awards in Melbourne on Monday night and accepted the Chef’s Hat award on behalf of the team. 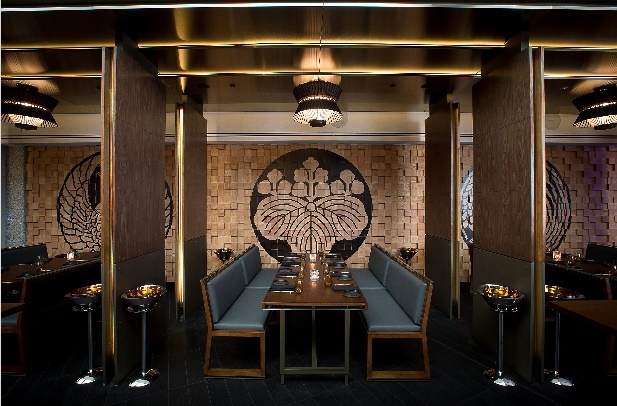 “Kiyomi has gone from strength to strength since opening in 2014, and this award is a tribute to our talented team who continue to innovate and provide thrilling culinary experiences for our guests,” Chase said. “Kiyomi’s menu is a celebration of ‘umami’ flavours, through unique, yet simple combinations that bring the natural produce to life. “Our team strives to serve imaginative, yet authentic cuisine that capitalises on fresh, seasonal flavours.